Today, women make up half of the U.S. workforce, but the average working woman earns only 77 percent of what the average working man makes. But unless women and men both say this is unacceptable, things will not change. Men have to demand that their wives, daughters, mothers, and sisters earn more – commensurate with their qualifications and not their gender. Equality will be achieved when men and women are granted equal pay and equal respect. Men—I would like to take this opportunity to extend your formal invitation. Gender equality is your issue too. We don’t often talk about men being imprisoned by gender stereotypes but I can see that that they are and that when they are free, things will change for women as a natural consequence. I want men to take up this mantle. So their daughters, sisters and mothers can be free from prejudice but also so that their sons have permission to be vulnerable and human too—reclaim those parts of themselves they abandoned and in doing so be a more true and complete version of themselves. So far so similar. Both women speak about economic inequalities and differences in opportunities between women and men. Both speak about how gender constrains men as well as women and call for men to join with women in a feminist struggle. But their words have provoked different reactions. What message, I wonder, are her young fans – who have somehow stumped up £85 for the privilege – getting from a woman who calls her tour The Mrs Carter Show? An old-fashioned girl Beyoncé may be, but this is ridiculous. (If her husband Jay-Z calls his next outing The Mr Knowles Tour, I’ll take it all back.) The woman who told us “it ain’t easy being independent” could try a little harder. We wonder if the much greater scrutiny directed at Beyoncé compared to Watson is about race. Does Beyonce’s black body and performance of a hyper-feminine (hetero)sexuality trouble dominant notions of ‘acceptable’ and ‘respectable’ feminism and femininity thereby generating greater scrutiny? Despite the differences in their reception, Beyoncé and Watson’s positions are a significant shift from years of female stars – from Chrissie Hynde to Lily Allen – doing all they can to distance themselves from feminism. As teachers of gender, faced each year with rooms full of sceptical undergraduates, we are grateful to them for making feminism feel more current and less weird. Both stars have an highly positive image, especially among young people. Indeed, in our group interviews, we found that it was impossible not to love Beyoncé, and that many young women wanted Watson as a friend. 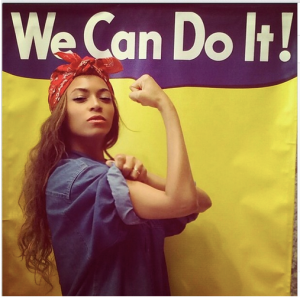 We also found that Beyoncé figured frequently within young women and men’s discussions about the ‘right’ way to do feminism and femininity (as Kim discussed at our end of award event in July). 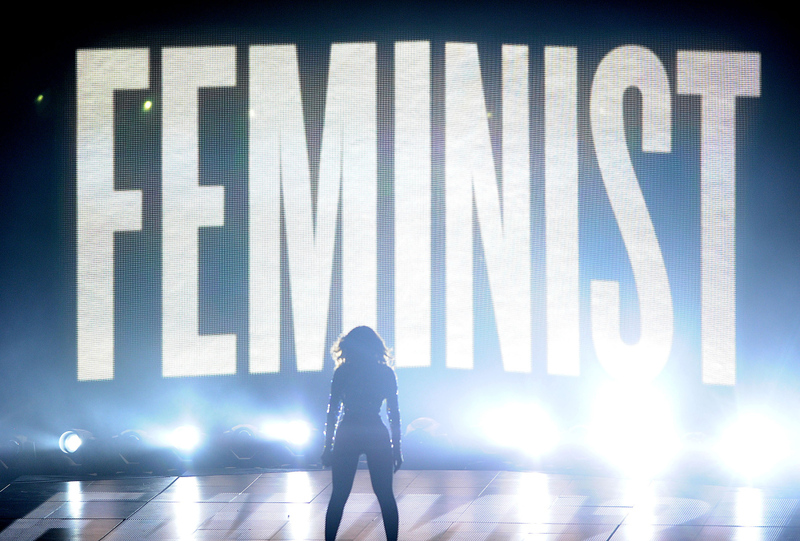 Veteran black feminist bell hooks recently critiqued Beyoncé, stating “I see a part of Beyoncé that is in fact, anti-feminist, that is a terrorist … especially in terms of the impact on young girls“. Yet when we see Beyoncé call on men to take responsibility for gender equality, we can’t help but question hooks’ critique. Indeed, in her essay on Sheryl Sandberg’s ‘faux feminism‘, hooks (rightly, in our view) critiques Sandberg’s ‘choice feminism’ and instruction for women to simply ‘lean in’, while leaving male privilege in tact. 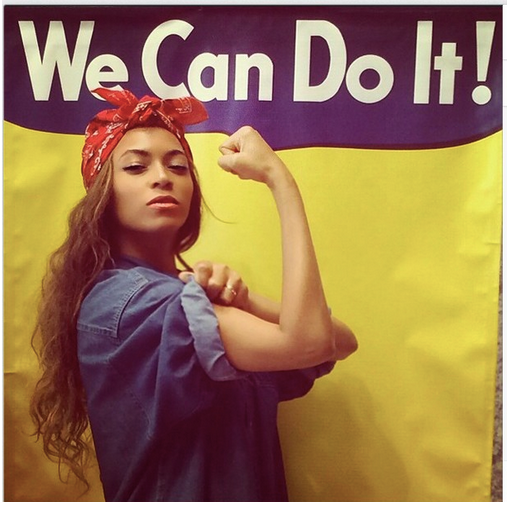 While Beyoncé has been seen to embody such an anodyne ‘choice feminism’, her statements above indicate how she – like Watson – has emphasised the need for a collective fight to address gender inequality that involves men as much as women. Of course we’d like to see more. Yes, we’d love to see a clearer articulation of what men must do within this (committing to gender equality involves more radical action than posting a link on Facebook or Twitter). Yes, we’d like these celebrities to explicitly engage with issues of class privilege, sexuality and race. But despite this, we feel that it is important to recognise the significance of an articulation of a feminism that is not just framed in individualistic talk of ‘aiming high’, ‘leaning in’ or ‘choice’ but places a responsibility on men to – in Beyoncé’s words – ‘make demands’, and on boys to learn about ‘gender equality and respect’. So, while we recognise some contradictions and limitations within these versions of feminism, we also feel they provide us with a new way in to exploring gender issues with young people and indeed a way to consider how young people manage the contradictions around feminism, femininity and masculinity in their own lives. More so, the different reactions to them within the public realm help us to explore feminism’s claims and remember that it’s not enough to think about gender in isolation from race, class and other inequalities that shape our lives.